I spotted this on Pinterest and had to share it with you all. Sadly, I couldn't find the source. If anyone knows, please let me know! 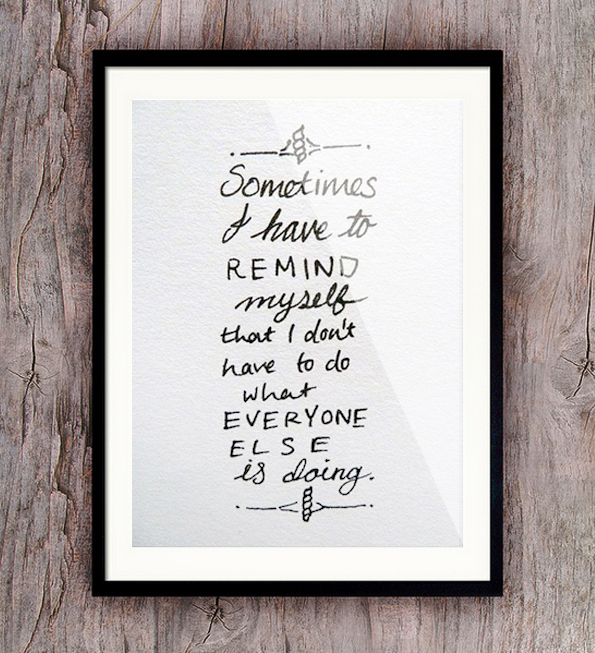 "Sometimes I have to remind myself that I don't have to do what everyone else is doing". So true.